Below you can view all the homes for sale in the Bridle Ridge subdivision located in Suwanee Georgia. Listings in Bridle Ridge are updated daily from data we receive from the Atlanta multiple listing service. To learn more about any of these homes or to receive custom notifications when a new property is listed for sale in Bridle Ridge, give us a call at 404-998-4162. Great Location Near Shopping And Schools! MLS#6531006. Keller Williams Realty Community Partners. New Paint, New Garage Door & New Furnace! Perfect Family Living! MLS#6526549. Keller Williams Realty Atlanta Partners. 2 Car Courtyard Entry Garage Has Great Cabinet Storage Units And Workshop Space. MLS#6521405. Keller Williams Realty Augusta Partners. The Basement Is Perfect For Families Or Even As An In-Laws/Au-Pair Suite And Includes A Kitchenette Area With Sink And Room For A Mini-Fridge, Large Playroom/Game Room, Two Additional Rooms, A Full Bathroom, And A Huge Storage Area! MLS#6520100. Keller Williams Realty Chattahoochee North, Llc. An Attic With Permanent Walk Up Stairs, And A Renovated Master Bathroom. Great Schools! MLS#6507778. Haven Real Estate Brokers. 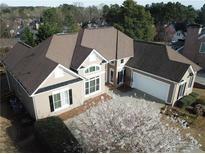 Lambert High School Location And Easy Access To Ga400 And Lake Lanier! MLS#6505073. Century 21 Results. This Lovingly Maintained Home Boasts An Upgraded Kitchen With Stainless Steel Appliances, Walk In Pantry, Upgraded Bathrooms, Two Story Entryway, Two Story Living Room With Tons Of Natural Light, And A Finished Basement! Close To Schools And Shopping! MLS#6126775. Keller Williams Realty Community Partners. Hurry To See This Listing In This Highly Sought After Amenity Rich Neighborhood With Swim/Tennis In The Lambert High School District! MLS#6120810. Harry Norman Realtors. Ga 400, Shopping, Dining, Grocery And Entertainment. Very Active Community And Hoa MLS#6116791. Keller Williams Realty Atlanta Partners. 2 Miles From Caney Creek Preserve.. MLS#6093456. Solid Source Realty, Inc.. The Perfect Floor Plan For Entertaining! MLS#6089286. Harry Norman Realtors.